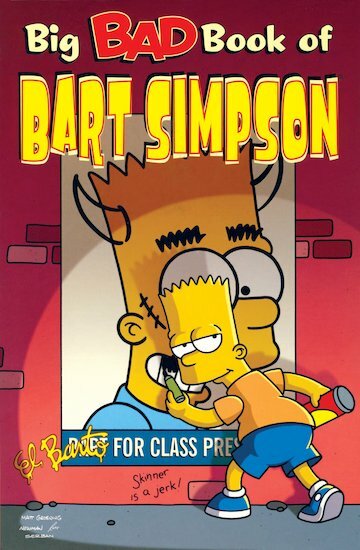 Bart’s back – bigger, badder and funnier than ever. But what mischief will our yellow terror cause in this bumper book of cheeky antics? Well… prepare to see Snowball the cat transformed into Supercat – a fearless feline crime-fighter! Brace yourself to be dragged screaming through 24 hours in the life of Ralph Wiggum, the Police Chief’s hapless son! Finally, Bart gets a shock when he flushes baby alligators down the loo, hoping that radioactive pollution will mutate them – only for them to bite him squarely on the shorts!